1970s country soul classic on CD for the first time, with 7 bonus tracks! While Sandra Rhodes made a name for herself singing behind Al Green on his classic Hi Records sides and writing songs including Conway Twitty’s #1 single, “The Clown,” her best work missed the public eye. And ear. 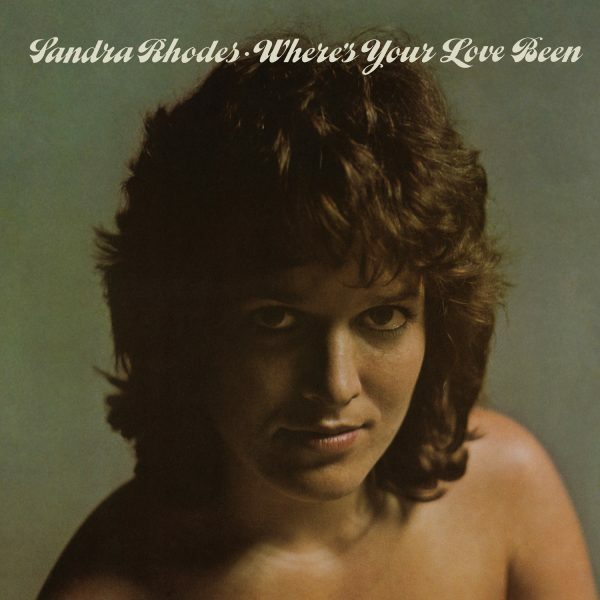 Where’s Your Love Been was Sandra’s 1972 album, recorded at Sam Phillips Recording Studio in Memphis and originally released on Fantasy Records. Just as her backing vocals (usually performed with sister Donna and then husband Charlie Chalmers) appeared on recordings of every genre, Where’s Your Love Been moved from Country to sweet Memphis Soul. The same reason her songs have been recorded by artists as diverse as Skeeter Davis to Isaac Hayes. Co-Produced by Sandra and Chalmers, the ten tracks on Where’s Your Love Been include originals like the title cut to a cover of The Rolling Stones’ “You Can’t Always Get What You Want.” To make this album’s CD debut even more special, seven bonus tracks from the sessions have been unearthed—all previously unissued! With liner notes from Bill Dahl in a full color booklet, Where’s Your Love Been is ready for the audience that missed out on it over four decades ago. Like many other great “unheard” albums, Omnivore Recordings is proud to tell everyone that the question of Where’s Your Love Been has finally been answered.